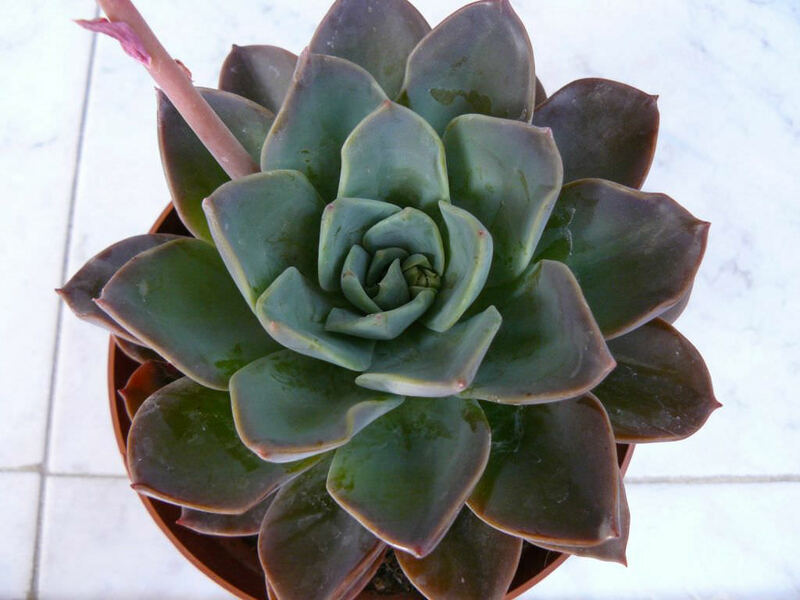 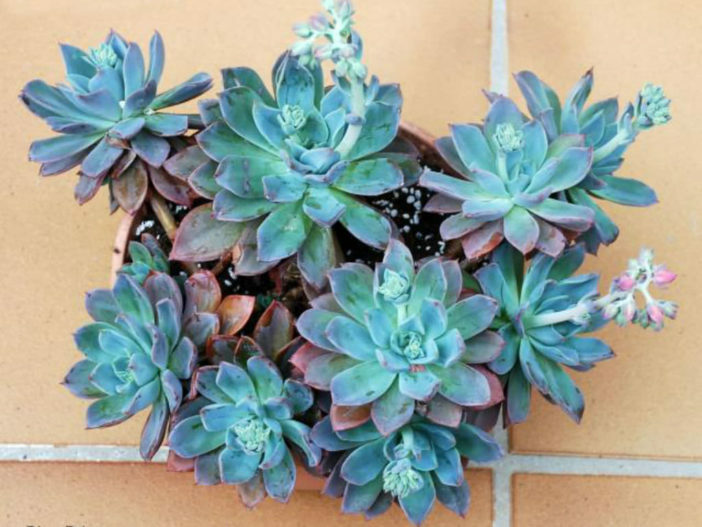 Echeveria ‘Blue Prince’ is an attractive, rosette-forming succulent with dark, blue-green leaves that get bronze in full sun. 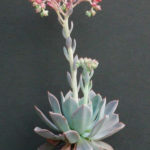 Contrasting reddish-orange flowers appear on tall stems from late spring. 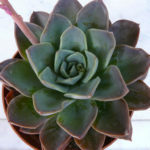 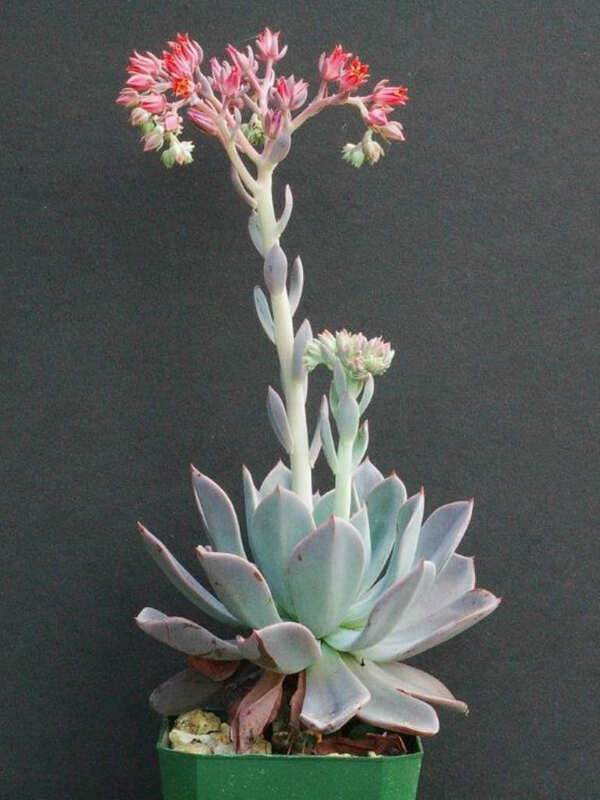 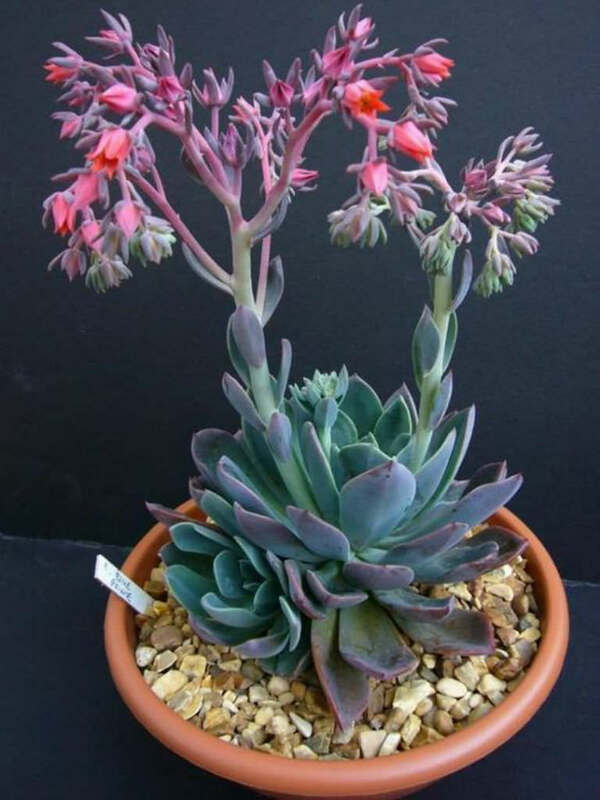 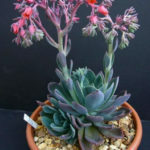 Echeveria ‘Blue Prince’ is a hybrid of unknown parentage.